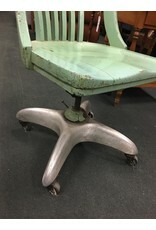 Bring a bit of "Mad Men" styling into your office or home with this vintage c1950 wooden bankers chair on an aluminum base. 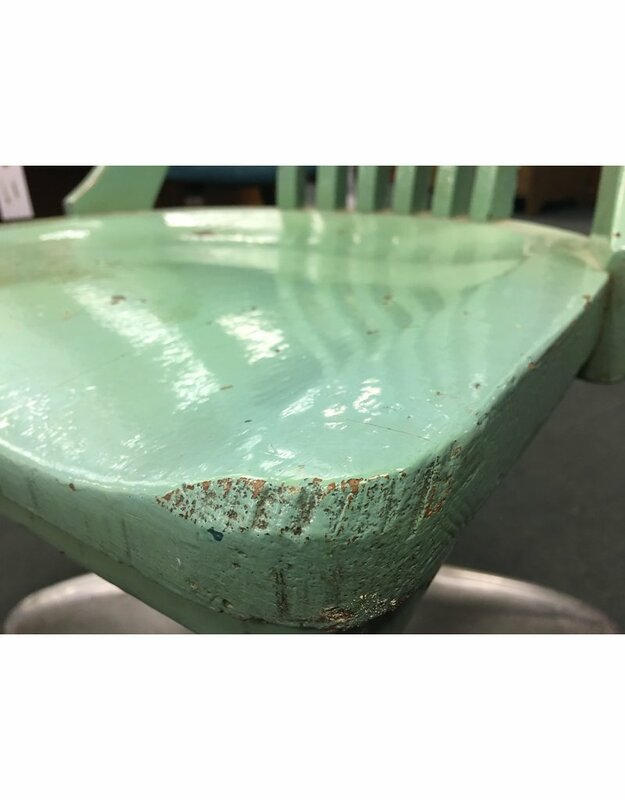 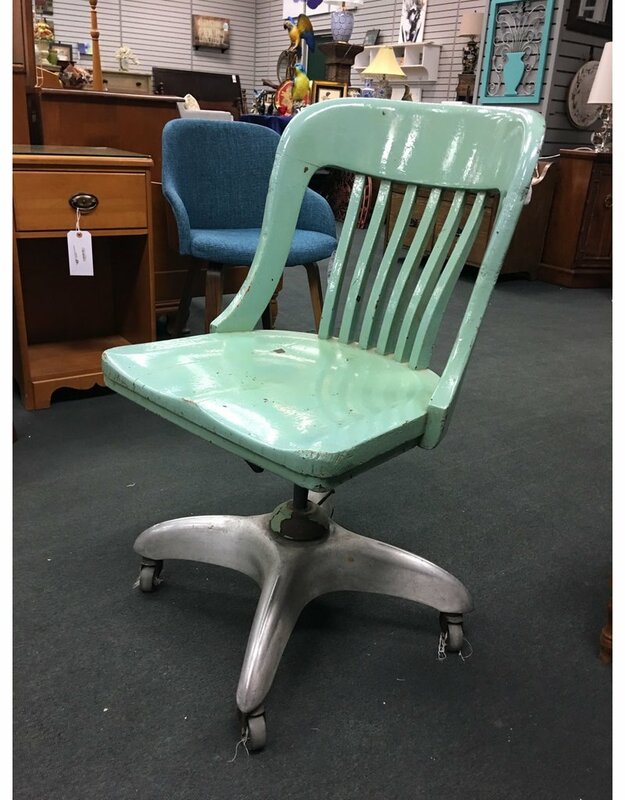 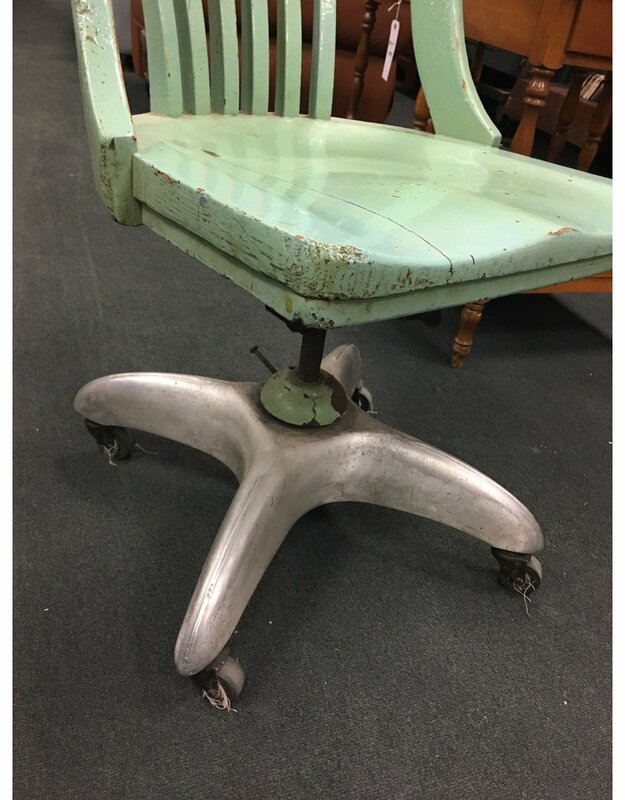 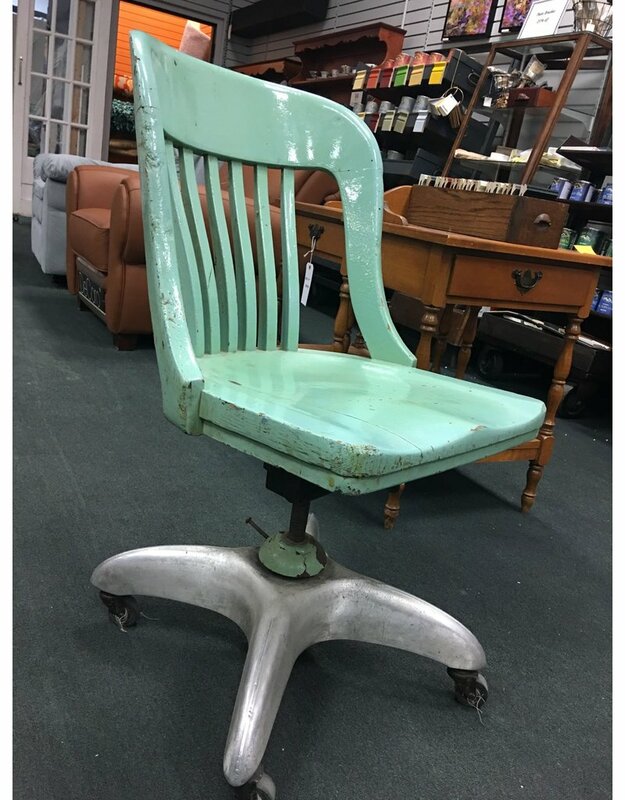 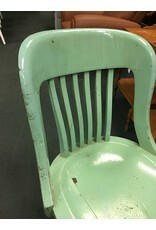 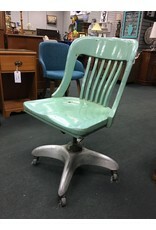 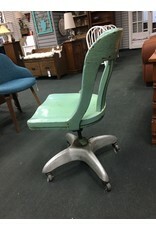 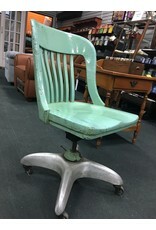 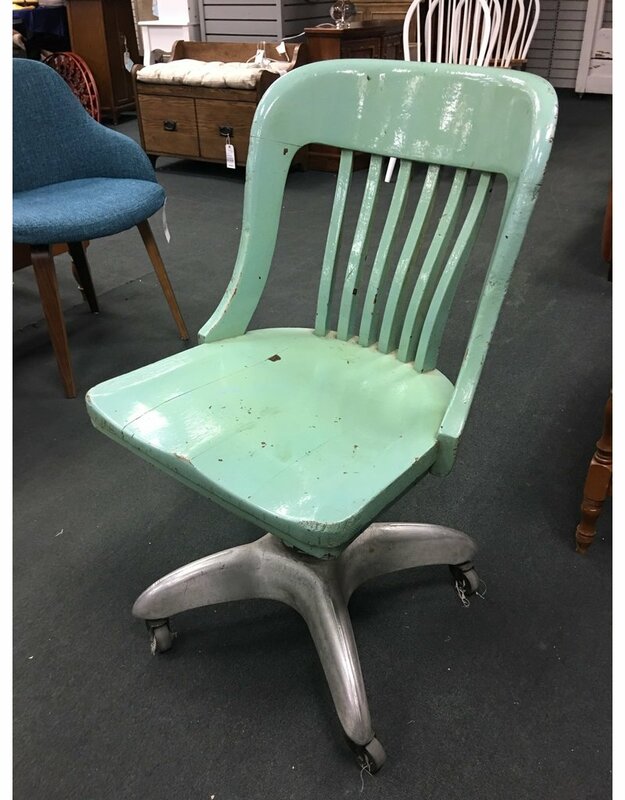 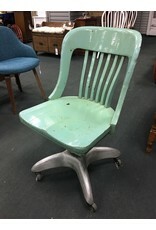 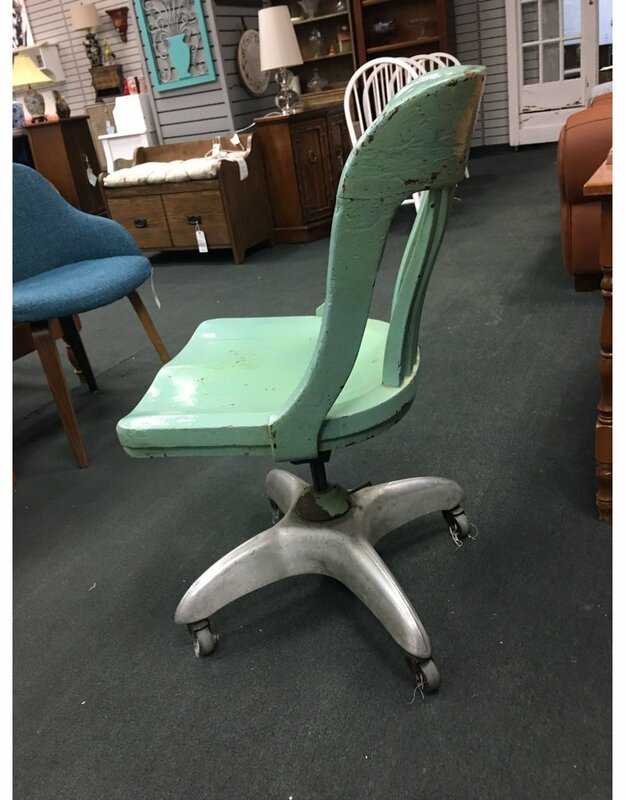 The chair features the original 4 casters, ability to swivel, and a painted teal finish original to the chair when coming into the shop. 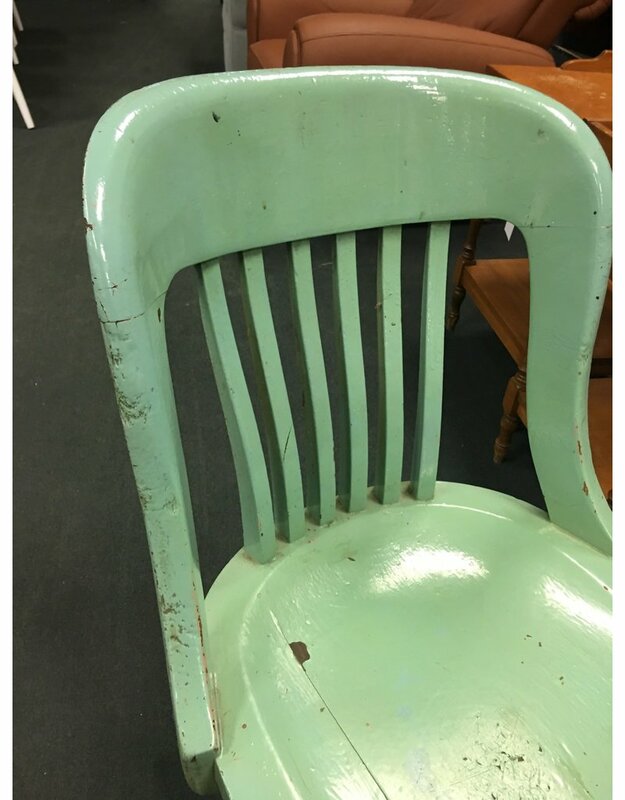 19" x 18" x 33.25"